The College field’s cricket teams in the U/13, U/14, U/15 age groups and a 2nd XI team which play in the ACT Junior Cricket Competition. The College 1st XI play in the Associated Southern Colleges competition against other Colleges across Canberra and Goulburn. The 1st XI play in the 2-day format, 1-day format and in a T/20 competition. All formats have a separate final. 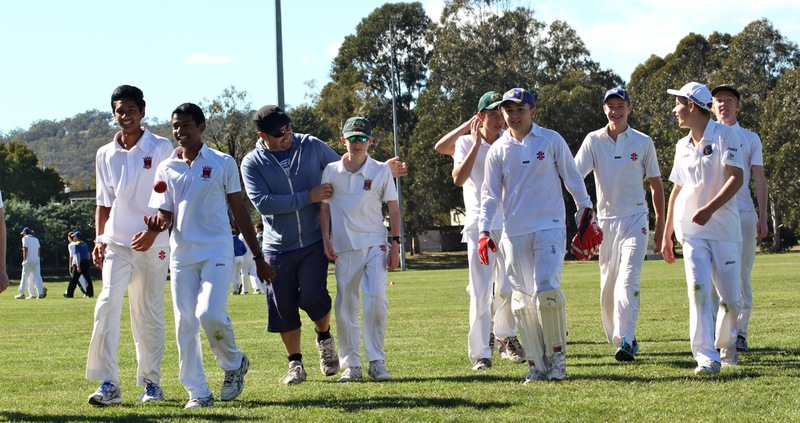 All other teams compete in the ACT Junior Cricket Competition which is run by ACT Cricket. The Daramalan College home ground is Reid Oval for teams playing on a turn wicket. Junior teams use Lyneham and Dickson oval as a home ground. Training times vary depending on which age group and division players are in but usually occur on a Tuesday and Thursday afternoon. The academy is run during the pre-season to allow all players the opportunity to improve their cricket knowledge and skills prior to the upcoming season. Players who participate in the academy have the opportunity to work on their strength and conditioning, batting, bowling, fielding and also their understanding of the game. Mrs Anne Sutherland is the Daramalan College Cricket Convenor and is one of the College’s experienced Health and Physical Education teachers and Goolagong House Coordinator. Mr Collis has previously coached many of the College’s 1st XI teams and coordinates bi-annual cricket tours. If you wish to know more about Cricket at Daramalan College please email Mrs Anne Sutherland. 1st XI – Daramalan College ‘floopy’ cricket hat or 1st XI Baggy embroidered 1st XI cricket shirt and long pants. All other teams – Daramalan College ‘floopy’ cricket hat, long pants and the Daramalan white top.